A principal tenet of the American Association of Law Libraries is the right of equal access to information for all to ensure an informed citizenry and to promote a just and democratic society. Established in 1998, the Public Access to Government Information Award is given to recognize persons or organizations that have made significant contributions to protect and promote greater public access to government information. Recipients of the award may be an individual or organization. Members of the AALL Government Relations Office are not eligible. Recipients need not be law librarians or members of AALL. 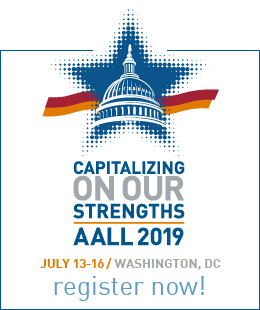 The Public Access to Government Information Award shall be administered by the AALL Government Relations Committee in coordination with the AALL Awards Committee. The Government Relations Committee shall solicit and review nominations for the award. The committee will choose one individual or group recipient each year for the PAGI Award, or no recipient if it deems none of the nominees sufficiently qualified, and will submit the winning recipient’s name(s) to the Awards Committee. The Awards Committee will oversee the grant of the PAGI Award to the recipient(s) selected by the Government Relations Committee. The Government Relations Committee will handle subsequent publicity activities and any miscellaneous tasks that arise in the administration of the award. Nominations for this award are to be sent to the chair of the Government Relations Committee, Todd Melnick. Nominations must be submitted no later than Feb. 1 of each year. The committee will complete its deliberations and the administrative aspects of the award by April 1. The Government Relations Committee will review the nominations and make a final decision on who will receive the award. Each nominee shall be considered individually and confidentially and will be judged according to the criteria listed above. Sources of information for the committee about a candidate include the nominating letter(s) and recommendation(s) from the Government Relations Committee. 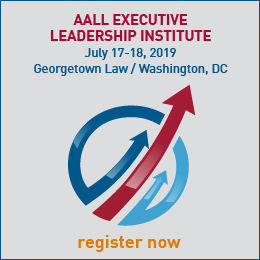 To ensure confidentiality, contact with members of AALL other than the person(s) nominating, Awards Committee members, and Government Relations Committee members should be avoided. Frequency and number of awards: The award may be presented annually, but there is no requirement that the award be given each year. The award shall be presented during the AALL Annual Meeting, and it will be given in the name of the Association. It will consist of an appropriate memorial to honor the achievements of the individual or organization. In recognition of outstanding, grass-roots cooperation to make state legal information available electronically.